In a car accident involving pedestrian vs. car; car usually wins. If your name isn’t Superman, then it’s safe to say that the car will knock down and injure the pedestrian time and time again. The question in pedestrian vs. car accidents isn’t always a question of damages; meaning I got hit by a car now pay me. The question can be hotly contested on the issue liability. That means who’s at fault for the accident. Who is to blame. Is the car driver 100% at fault? Was the pedestrian responsible for the accident, and if so, what percentage of liability ought to rest on his or her shoulders? At law, this apportionment of liability (like dividing up a piece of pie) is also expressed as contributory negligence. Some of the worst car accident cases which my law firm has ever seen have involved cars hitting pedestrians while they’re trying to cross the road. One of the hardest parts of my job is having to explain the theory of contributory negligence to a client. The more injured the client, the more difficult the explanation becomes (not that every explanation isn’t difficult to begin with). The starting point for any pedestrian car accident case or pedestrian knock down case requires an examination of the “reverse onus” provision contained in section 193(1) of the Highway Traffic Act. This section creates a “reverse onus” situation whereby the motorist is essentially guilty until proven innocent if they hit a pedestrian with their car. It will be up to the driver of the car to prove that they weren’t at fault because this section of the Act already puts them in the wrong for having hit the pedestrian in the first place. You can understand why they would put this reverse onus provision in to the Highway Traffic Act in the first place. The intention of the Act is safety, and in situations where cars hit pedestrians, the pedestrian will more often than not be more injured that the motorist. The pedestrian doesn’t have the protection of a tonne of steel and re-inforced plastics, air bags, bumpers, ABS breaks etc. The pedestrian carries no armour (unless he’s Sir Lancelot on his way to a joust). Essentially, Ontario’s government wanted to discourage drivers from hitting pedestrians as much as possible, so they legistlated it into the Highway Traffic Act. The pedestrian need only prove that the accident happened. This burden is not a high one. This can be proven on a police report, through witnesses to the car accident, or even from hospital/ambulance records which describe the accident. I think you get the drift. In those instances, whereby the Court deems the pedestrian is not acting reasonably or rationally, it’s entirely possible that the Court will find that the accident was not caused by the driver, but rather by the pedestrian. In other instances, the Court may split liability equally between driver and pedestrian (called a 50-50 liability split). When liability is split, that means a pedestrian’s award for damages will get split aswell. So, let’s assume that at trial, a Judge awards $1 million to the Plaintiff, but apportioned his liability at 50%. That means that his award will be cut in half ($500,000). That might sound good to some, but it’s not as much money as you think. Let’s take the very same example of liability split, but use much lower numbers. Let’s say the Judge awarded $100,000 to that very same pedestrian. 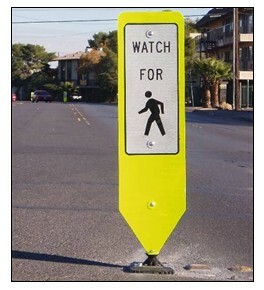 After a 50/50 liability split, that same pedestrian is awarded just $50,000. After payment of legal fees, disbursements and applicable taxes, that same pedestrian isn’t left with very much after their knock down case. If the Defendant made a Pre-Trial Offer which was greater than that $50,000 award which they recovered, then the Plaintiff will likely be ordered to pay a portion of the Defendant’s legal costs. This leaves the Plaintiff with even less money, and likely a net award of ZERO. This is where an element of poker play comes in to legal cases. If you win, you might win BIG. If you lose, you might lose it all. And when I mean lose it all, I mean lose it all. If you have any other questions about liability or how to handle a pedestrian knock down case/pedestrian car accident case, give us here at Goldfinger Injury Lawyers a call. We’d be pleased to help you as best as we can. Did anyone catch the Toronto basketball game against the Lake Show? I don’t know who has more problems, Toronto or those guys in purple and gold. The sad thing is, that no matter how terribly the purple and gold perform, they will usually outnumber the Toronto fans at the game. And now that Toronto’s hockey team is back to the ice, I suspect that the basketball team won’t get much more attention. The window of opportunity to capture the hearts and minds of Torontonians has officially closed. We will just have to wait again until next year. Can’t wait to see which European country our next first round pick will come from.